The RBS SE100 Insight series brings in-depth learning and inspiration from leaders on the RBS SE100 Index – the market intelligence tool for social enterprises. This week, Sophie Hudson meets Andrew Purvis, new boss of K10 and former CEO of health and beauty brand Neal’s Yard. 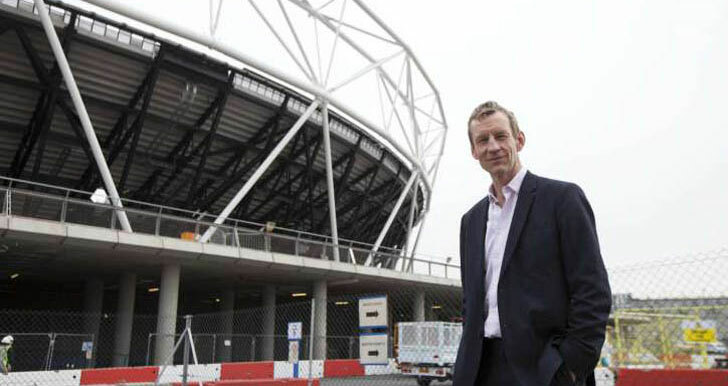 What do high-end skin-care products, disadvantaged young people and the Queen Elizabeth Olympic Park have in common? The answer is Andrew Purvis, the new CEO of K10, a social enterprise that employs apprentices and places them in the London construction industry – and which was ranked 44th out of 861 organisations for its growth on the RBS SE100 Index. I met up with Purvis at the Olympic park, where some of K10’s apprentices have been working on the post-games transformation project that will culminate in the south Park opening to the public in April. Before joining the organisation, which has a turnover of £2.5m and last year made a profit of £40,000, Purvis spent six years helming organic skin care company Neal’s Yard Remedies, followed by three years as chief executive of the youth charity Fairbridge. And now, after a brief period working for the foundation of the Virgin Group, he has joined K10, which recently rebranded from ‘Reds10’. Until his appointment, the organization was run by its founders, who set it up three years ago in response to the declining number of apprentices in the construction sector. So what is Purvis likely to have in store for K10 now he’s taken over? He certainly has a track record of shaking things up. When he joined Neal’s Yard it was a loss-making company with a £4m turnover. By the end of his stint in charge, it was turning over £11.5m and making a profit in excess of £1m. 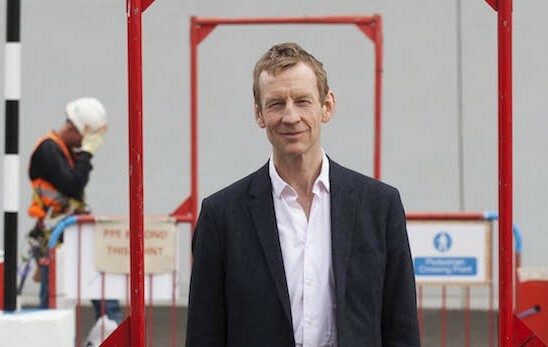 Then at Fairbridge Purvis oversaw a merger of the charity with the Prince’s Trust in 2011, something he felt was necessary due to the difficulty the mid-sized organization was having with fundraising during a challenging economic time. He says it was his frustrations with fundraising at a mid-sized charity that played a big role in tempting him to join an organization that, while still having an immediate positive impact on the lives of young people, is also financially self-sustainable. K10 sustains itself through recruiting and employing apprentices, training them, ensuring they are job-ready and supporting them through their entire apprenticeship programme, from organizing placements with host contractors to overseeing the college part of the experience. The contractors pay K10 a fee, which covers the apprentice’s wage, and other costs that K10 incurs as well as providing the social enterprise with a margin on top, which it reinvests to continue to grow its work. It has also received investment to help speed up this growth, the most recent pot of which was announced this week – £800,000 from the social impact fund Impact Ventures UK, which was set up by LGT Venture Philanthropy, the impact investing initiative of the Princely Family of Liechtenstein, and Berenberg bank. He says this chemistry was particularly important due to K10’s determination to continue to put social impact at the forefront of its work and decision-making – something reflected in the organisation’s perfect 10/10 social impact score on the RBS SE100. “When you’re talking about social impact you have a lot of grey issues to work through,” he says. “One good example is if you have a particularly difficult situation with an apprentice, that can absorb an enormous amount of management time. If you’re purely financially driven, you’ll probably drop that. In our business if we have a crunchy issue with an apprentice we’ll do everything we can to resolve it”. And the success rate of this approach shines through, with Purvis saying that 90 per cent of K10’s apprentices are placed into sustained employment upon qualifying. He says one of the biggest challenges the organisation faces is the job-readiness and attrition rates of its apprentices, noting that if an apprentice loses their accommodation for any reason, the likelihood of them falling out of the programme is almost 100 per cent. And this is largely why Purvis feels it is so important to put the social impact, rather than the financial profit, of the organisation first. He explains that if social impact is in the orgnisation’s DNA, this will make for a better and more rewarding experience for both the apprentices themselves and the host employers, which will in turn enable K10 to be a well-run, financially sustainable business. “It’s doing it that way round rather than saying how do I make as much money as I possibly can, where’s the low-hanging fruit, what’s the highest margin etc and forget the rest,” he says. The growth that Purvis has in mind for K10 could also see it moving into other sectors, with the organisation already involved in an apprenticeship programme at Goldman Sachs, and looking at other opportunities for business administration roles. But even without this diversification, the London construction sector alone offers big growth opportunities for the enterprise, with Purvis saying that there are over 600,000 people working in the sector, and as a guide he thinks one in 100 of these could be an apprentice. Their social impact score of 10/10 puts them in the top 4.2% of the main index for demonstrating social impact. To explore the data on K10 and other enterprises – and to enter your own enterprise or those you support or invest in – find out more at SE100.net.